Security and Intelligence Services (India) Ltd saw a strong investor turnout for its initial public offering with the issue covered almost seven times on the final day on Wednesday, while the share sale of Cochin Shipyard Ltd was covered three times on the second day of its offering. The security services provider’s IPO of 5.31 million shares, excluding the anchor allotment, received bids for 36.4 million shares at the end of the second day of the issue, stock exchange data showed. 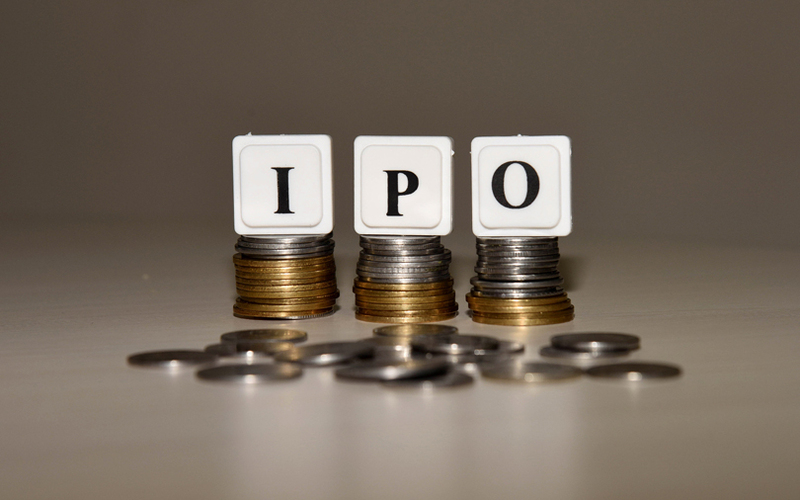 The IPO had crossed the one-third mark on Monday. On the second day on Tuesday, the public issue was covered nearly twice the shares on offer. The retail portion received bids for 18 times the shares on offer while the institutional investors’ category was subscribed 5.65 times. Non-institutional investors’ portion was covered 1.65 times the shares on offer. SIS was seeking a valuation of Rs 5,960 crore ($925 million) through the IPO. The public offering comprises a fresh issue of 4.44 million shares worth up to Rs 362.25 crore, besides a sale of 51.2 million shares worth Rs 417 crore by promoters and CX Partners. At the upper end of the price band, the IPO size works out to Rs 779.58 crore, resulting in a 13.1% stake dilution on a post-issue basis. The Patna-based company raised Rs 350.81 crore on Friday from anchor investors ahead of its IPO. VCCircle reported that CX Partners, which is making a partial exit in SIS’ public offering, will transfer a chunk of its holding to the company as a reward for delivering above-average returns. The home-grown private equity firm is selling 3.47 million shares, representing around 4.75% stake in the company, through the IPO besides partial sale by promoters. CX Partners, through its investment vehicles Theano and AAJV, bought 15.5% stake in the firm in 2013. Its stake—after factoring in fresh shares into the equity, secondary sale and share transfer—will drop to around 4.75% after the IPO, as per VCCircle estimates. SIS, which claims to be India’s second-largest private security services firm, received regulatory approval for its IPO on 12 January. The company had filed its draft prospectus in September last year. However, the capital markets regulator had kept its share sale in abeyance for not meeting regulatory regulations meant for registered Indian companies. The firm had said that it issued shares to more than 49 people through private placement in nine instances between 1988 and 2012. This was not in compliance with the Companies Act, 1956, which restricts any placement of shares to more than 49 people. As per the amended Companies Act, 2013, if a company issues shares to more than 49 investors and up to 200 investors, it can refund the investors with interest and avoid penal action. SEBI’s regulations were amended accordingly in December 2015. Other companies that faced similar problems include private-sector lender RBL Bank Ltd and diagnostics firm Thyrocare Technologies Ltd. Last year, both the firms floated IPOs that were heavily oversubscribed. Cochin Shipyard’s offering was covered a little more than three times with a strong demand from retail and institutional investors. The public offering received bids for 10.72 million shares of the total 33.98 million on offer, at the end of the second day of the issue on Wednesday, stock exchange data showed. The retail portion was covered four times and the portion set aside for qualified institutional buyers (QIBs) was covered 3.4 times. The part reserved for non-institutional investors, comprising wealthy individuals and corporate clients, was subscribed 83%. The IPO was almost fully covered on day one on Tuesday. Cochin Shipyard is seeking a valuation of as much as Rs 5,872 crore ($912 million) through the IPO. The public issue, which does not have an anchor book, will close on Thursday. Last week, the company set a price band of Rs 424-432 per share for the IPO. At the upper end of the price band, the IPO size works out to Rs 1,468 crore. Cochin Shipyard will raise roughly Rs 980 crore via a fresh issue of 22.65 million shares while the government, acting as the sole selling shareholder, will mobilise the remaining by selling 11.32 million shares. Overall, the IPO will result in a stake dilution of 25% on a post-issue basis. This will help the firm comply with the Securities and Exchange Board of India’s norm of 25% minimum public float. Cochin Shipyard had filed its draft prospectus for the IPO on 24 March and received regulatory approval on 20 April. Its IPO is part of a record disinvestment target set for the forthcoming financial year by Finance Minister Arun Jaitley. The government is aiming to raise a record Rs 72,500 crore through capital receipts that comprise minority sales and strategic disinvestments as well as listing of state-owned companies. On Wednesday, the government also initiated sale of minority stake in Hindustan Copper Ltd. The two-day offering, which ends on Thursday, will fetch the government about Rs 500-520 crore. In the first three months of this financial year, the government has mobilised Rs 6,700 crore by selling minority stakes in half-a-dozen companies. Last month, it sold a 2.6% stake in engineering giant Larsen & Toubro Ltd—held via Specified Undertaking of The Unit Trust of India—for Rs 4,158 crore. It also offloaded a 10% stake via an IPO of housing and urban infrastructure financier Hudco Ltd.
SBI Capital Markets, Edelweiss Financial Services and JM Financial Institutional Securities are advising the government on Cochin Shipyard’s share sale.